Translator’s Note: This article was originally written in Chinese and published by eBook Dynasty in July 2014. It is translated into English and published here with the author’s permission. Having read the Chinese version of the article “‘How do you make the world understand you?’ – On science fiction in China”, published by eBook Dynasty in April 2014, I have some comments to make. While I agree with most of the arguments made by the author, some of his/her views may be disputed. The article cites a conversation between the Chinese world’s two most renowned filmmakers, Ang Lee and Zhang Yimou, to shed light on the kind of universal values shared by all good movies. Such values are found in Zhang’s praises for Ang’s films such as Pushing Hands (1992) and Eat, Drink, Man, Woman (1994). In Zhang’s words, the aim of these movies is to “return to the most basic and pure principle, to focus on people’s stories — to care about people”. This aim is fulfilled not just by Ang’s films. All of the good works of art throughout the human history, created in whatever medium, share the same core value that is humanity. Take the Renaissance in Italy as an example, whose goal was to shift the focus of art from the gods back to people themselves. The movement awakened and revitalized the whole Europe, like a wild file, arousing faith and hope in everyone about their values as human beings. More importantly, every people and culture embracing such renewed appreciation of human values was able to excel brilliantly in the same way that gold glows when blazed by fire. In other words, the values of a work of art or a culture are not measured by its form of expression, but by its inner spirit. Once we are able to reveal its true nature, in the same way that gold is dug out and polished, we can reveal its universal values that touch the world’s heart. In my view, contemporary movies based on Chinese fantasy stories are increasingly in danger of falling into two traps. (1) In order to meet the so-called market demands, these movies use large amounts of special effects but are lacking viewable and comprehensive content. Some of them are even of very low or no quality at all. (2) Filmmakers are so eager to introduce to the world the “Almighty Chinese culture” that they focus all their efforts on turning Chinese historical or mystical stories into movies. Their attempt to set traditional Chinese stories against Western histories and myths only results in a great deal of self-glorification and bigotry. Gods, demons, monsters and spirits – these seem to be the essentials of the world’s fantasy stories. Are they even relevant to the human world? Of course! These are precisely the embodiment of universal values. Take the Greek Myths as an example, where gods behave like ordinary human beings, their hearts full of jealousy, cynicism, manipulation, treachery and hatred, demonstrating nothing else but human nature. Here, whether the real gods are as unpleasant as human beings is not important. Instead, the point is to consider these myths as a mirror that reflects human nature. The purpose of these myths is not to portray the gods, but to deploy them as reminders that we can be gods or demons, depending on how we think and act. Therefore, all the characters in the stories we read shed light on various aspects of our human heart, which is at the core of all fantasy books. Take the most famous Chinese fantasy novel Journey to the West as another example. The three main characters – Monkey, Piggy and Sandy – are renowned for their half-man, half-monster forms and magical powers. However, upon close examination, it is easy to see that they are metaphorical expressions of various aspects of human nature, as demonstrated by Monkey, who is frequently referred to in the book as the “ape with a heart”. More importantly, all three characters are disciples of Xuanzang, an ordinary human being who, as a monk, is determined to travel to India and bring back the precious Buddhist scriptures. His difficult and dangerous journey may be seen as a spiritual cleansing process, which is the focus of this classic text. All the demons, monsters and evil spirits faced by the monk are symbols of temptations. So, by removing all the “Chinese” cultural characteristics, can we make it easier for Western reads to accept Chinese fantasy novels? 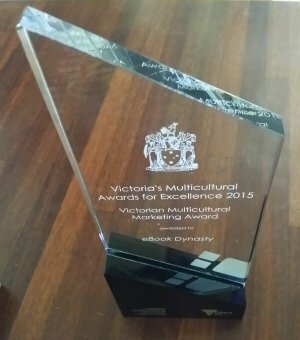 To ask such a question is to assume Chinese culture is unique from that of the rest of the world. Instead, we should ask why Chinese martial artists such as Bruce Lee, Jackie Chen and Jet Li are well received in the West. The point is not to remove the “Chinese” cultural characteristics, but to discover the universal values of Chinese culture and express them through contemporary works of art. As long as a novel or film conveys universal values, there will be no need for questions such as whether it is “Chinese-style” or whether the world can understand it. My novel Left Eye, the Ghost Master, recently published by eBook Dynasty as a Chinese ebook, is an example of expressing universal values. While it is a work of fantasy, a story of gods, ghosts and demons, its ultimate focus is on human nature. In this book, one will not find any unfathomable characters borrowed from Chinese history or myths. Neither is there any rigid theoretical framework specifically designed to present and/or promote the “Almighty Chinese culture”. In other words, as long as a book sets its roots in humanity, like a tree, all other details such as genres, structures and characters serve merely as decorative branches and leaves. The trunk of the “tree” is human spirit. Deep underground at the root level, waiting to be discovered, is the human soul. If Chinese fantasy writers want to play a part on the world stage, then they should not be bothered with notions such as the rise of China as a superpower or what they see as apparent “decline” of fantasy in the West. Instead, they should focus on discovering the uniqueness of Chinese fantasy stories and expressing them through the use of universally understandable literary languages and techniques. This is what I see as the future direction of Chinese fantasy novels. 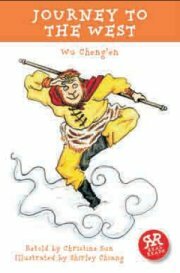 Image thanks to: Journey to the West, published by Real Reads, UK, originally written in Chinese by Wu Cheng’en, re-written in English by Christine Sun and illustrated by Shirley Chiang. Image below: C.Y. 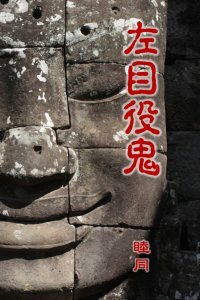 Chen’s Left Eye, the Ghost Master Chinese ebook. Previous Micro-History: Our Grandmothers, Our Selves by Julia Barclay-Morton Next Chinese Market Q&A #1: Google Translate?